2 T chopped walnuts OR 1 T chopped bacon or pancetta….it’s a weird either/or, but take your pick! Boil the bitter greens for 7 minutes in salted water, drain and press out any excess liquid. 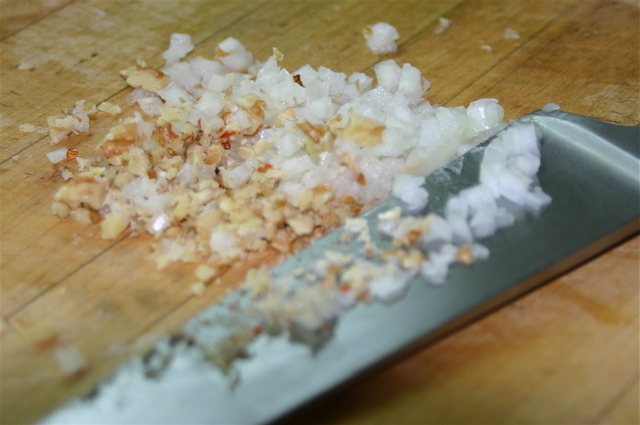 Combine with the chopped onion and walnut (or pancetta…don’t do both…ok?). Layer in the pan, give them an olive oil coating, cover and bake in the oven at 300 F while you go do something else for about 15 minutes or so. Set the table, make the salad, pour a glass of wine, you get the picture. 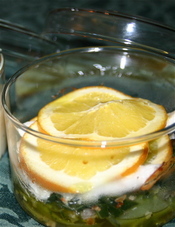 When its time to finish the dish and EAT, place a layer of sliced oranges over the bitter greens, add the chopped chili and garlic. Now layer the fish on top on that and then a final top layer of oranges. Drizzle everything with a generous bit of olive oil, cover tightly and bake in the oven at 350 for about 10-15 minutes, until the fish is done. Remove the top layer of oranges before serving…and have a little dish around to remove that middle layer of oranges. Slightly fussy, but worth it. Serve with a full bodied white or rose wine, or better yet, a light pinot noir.